I came to journaling late and for small, simple reasons. Two years ago, I was falling short of my sleep hygiene goals. Despite maintaining strict rules to minimize blue light interference, reading fiction and poetry before bedtime, and keeping my room as dark and as cool as my husband could reasonably withstand, my sleep quality still didn’t feel up-to-snuff. The problem was the same one I experience in daily life: my unquiet mind. No amount of meditation, yoga, or controlled breathing ever more than temporarily slows the barrage of ideas constantly throttling me. But then, by listening to an episode of Design Matters with filmmaker and researcher Tiffany Shlain, I learned a new technique. Shlain recounts a nighttime practice of writing out every one of her thoughts as part of an emptying process. Not only are the thoughts contained and more organized, but they find a home, which means there’s no stress about forgetting them. I immediately adopted this technique, and over time I went from never journaling in my life to keeping five active journals for different purposes, three of which are part of my everyday morning routine. Without a doubt, the most transformational journal in my collection is my research journal. This unassuming hybrid has become the most powerful tool I use for learning, writing, work, and wellness. Before I break down the what and how of the research journal, I want to make a case for the why. On the everyday level, this journal means that I never run out of ideas. Each one of my research journals holds 249 pages of well-organized thoughts, and the process I use forces me to reflect on lessons from every important experience each day. The articles I publish come straight from the pages of my journal. And over longer time scales, my research journal evolves me. It opens the possibility for deeper learning no matter the circumstances. Reflections about what I want in work become a four-page evaluation of my intrinsic purpose, informed by personal notes, reading highlights, and patterns that emerge from many entries in the journal. Once it’s written down, I can intelligently talk about it, learn from it, and grow. So, what is my research journal? It’s similar to a commonplace book, a repository for ideas, quotes, and information you come across. Employed for centuries by the likes of Marcus Aurelius and Thomas Jefferson, it’s meant to support writing, speaking, and thinking. However, Ryan Holiday emphasizes that commonplace books are places for “wisdom, not facts.” He recommends waiting for ideas and thoughts to percolate for at least a week before writing them down. Here’s how my research journal is different. It’s daily and immediate, and I don’t hold myself to the wisdom rule, even if I often end up following it unintentionally. 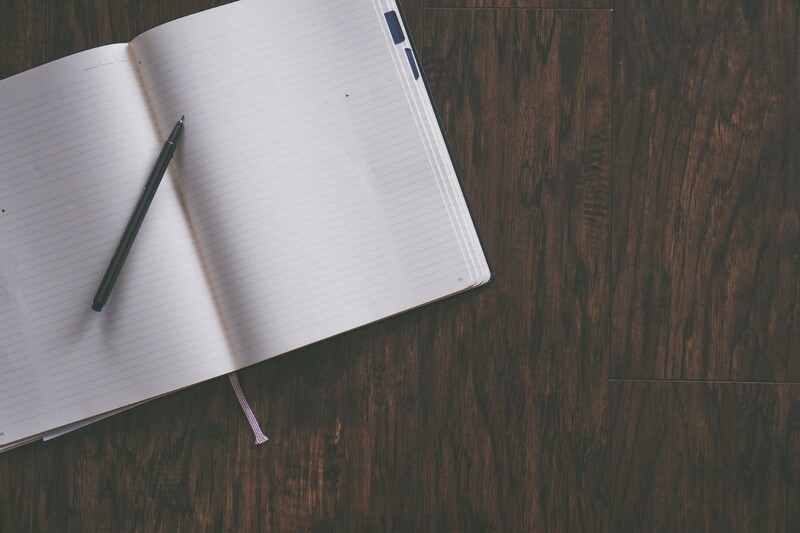 It also incorporates other journaling forms, like bullet journaling, to help keep my thoughts clear and surface ideas that would get buried if I stuck to a rigid, critical thinking mindset. Yet, unlike bullet journals, my research journal is very distinct from a planner and only incorporates to-do lists in service of problem-solving. Ultimately, my research journal is truly about research. It’s structured around what I learn from my reading, informational interviews, self-reflection sessions, travel and more. Each new thought has its own header, and every element is categorized and logged in a table of contents. That table lets me go back to analyses of all the books I’ve read, recordings meant to further my self-knowledge, and emotional entries on loss and relationships, and use them to inform the entries about strategic planning for my many professional and personal projects, frameworks for productivity and leadership, and outlines for articles I want to write. The whole point is to learn about everything all the time, and to clearly structure different learnings so they can talk to one another. Ultimately, it’s Bloom’s Taxonomy in journal form, aimed at sparking synthesis and evaluation organically. What makes my research journal different comes down to the process I use to keep it. That process is closely tied to three tools. For almost two years, I used all matter of journals to record my research. Beautifully handcrafted journals got as much time as free, company-branded ones and standard composition books. However, on a trip to Los Angeles last year, I discovered the Leuchtturm1917 Medium Hardcover with ruled pages. With its own table of contents, numbered pages, dates in the headers, stickers for labeling and archiving, and bleed-free pages, it changed my journaling process to be more focused and organized, while also making it super easy to review and revisit notes from months or years passed. For the longest time, I’d earmarked books or used my phone to photograph pages. These techniques were fine, but flawed. Earmarking damages books, and since I donate or give away 90% of the books I buy, the act caused me stress. I ended up earmarking less, since I wanted to keep books in the best condition I could. Even worse, I’d often forget why I’d earmarked a page or fail to find the section that sparked my initial thought. Taking pictures was worse because screens were my downfall. I easily fell into the trap of answering a text or checking my ClassPass schedule. I also accidentally took blurry pictures and cut out the page numbers, making it extremely hard to figure out what I wanted to record in the first place. Then one of my best friends bought me page flags, which colorfully mark the exact place of interest, don’t damage books, and are generally re-useable, which means I don’t worry about using too many flags. That latter feature means I curate after I’ve fully finished reading or researching, which expands my marketplace of ideas. If I ever write a truly intense and impassioned love letter, it’s going to be to my local library. It is a tremendous source of joy, and I go at least twice a week. But even when I don’t go to the library, my library card makes magic happen. Last year, I set the goal of reading two books of week as a means of building relaxation into my life in the only way I knew how: rigid rule-setting. But buying books is expensive and often time-consuming, along with guilt-inducing when you don’t read them. The Chicago Public Library solved all those problems for me. With my card, I’ve checked out 146 books since last year, and those titles are stored on my online dashboard. That’s very useful for looking at patterns, organizing lists, and even just sparking ideas for new requests. I request books whenever I want from my phone, so I never worry about forgetting a title. Usually within a few days, the book — no matter how obscure — is waiting for me on the library shelf. The whole experience takes less than five minutes on my end, even if the library needs to buy the book for me or process an interlibrary loan. There are a few hard-and-fast rules to my research journal that I uphold rigidly, and then the rest of the process is freeform and adaptable. This gives me the direction I need without locking me into a box that limits my creativity. It’s worth mentioning that while this process may seem long, I usually only journal for about fifteen to thirty minutes a day. Setting rules decreases the time I take to write. 1. I must record notes and quotes on every book I read in my journal before returning it or starting a new one. There’s no minimum or maximum, but I should be able to write about whether I liked it or not, and what I learned. 2. My journal is arranged by dates rather than categories. Being hyper-focused on categories gets me onto the path of looking for the right answer, and my research journal is fundamentally about questions. Plus, the more seemingly disparate ideas or experiences are positioned next to each other, the better for finding new connections or modes of thinking. 3. Every new topic is numbered. I may write ten pages in a day with three numbered headers. Numbering keeps the ideas separate and searchable without siloing them. 5. I can write about whatever topic I want if I provide context. This is not just an ideas journal where I can write sentence fragments like, “start a band” or “investigative journalism for the things in the world that went right.” The why is required. I can write just three sentences, but I still hold myself accountable to specificity and purpose. For example, when I came up with blogging about my research journal, I made myself write the outline and the ideal outcome. Polish isn’t necessary, but the idea cannot be left unexplored or unsupported, otherwise it’s unlikely to be realized and I probably won’t understand it later. 6. I always reread my journals. I use them as official reference books over time, and at the end of each one, I reread the whole thing from start to finish looking for patterns, victories, pending explorations and tasks, and opportunities for change. My research journal is about evidence-based and intentional action. Without review, thoughts remain half-baked and nebulous. 7. After rereading my journal, I create a formal table of contents. This allows me to diligently archive the information and find it for later use. It’s important to note what I don’t restrict: my topics, my writing style, or even my mood. I refuse to place value judgments on what I record. If I need to use my journal to vent or celebrate, brainstorm or refine, then I will. But I will do that in accordance with my rules and with the express intention deeper learning. I believe in the power of intention. If you decide you want something and write down that you intend to pursue it, you will begin to see opportunity everywhere. This happens even if you haven’t built a plan or taken the first few steps. Specifically, a question emerged from reading the children’s book Miss Rumphius: how can I make the world more beautiful? And just like that, I knew exactly what I wanted to do. I used this clarity to change my work, increase my giving, and direct my energy towards solving people problems. I transformed for the better. Put simply, my research journal changed my life, and I hope it changes yours, too. I help growing and growth-stage companies meet their full growth potential by investing in their people. I’ve spent my career managing startups, and I’ve seen people make or break them. That’s why as founder of Ethos, I focus on shaping culture and developing talent in service of overall company performance.